It’s back to school tomorrow and as uniforms are being dusted off and labelled, and new shoes duly polished and sprayed with one of the multitude of protection sprays we all have lurking under the sink, our kids may well be more concerned with looking cool and standing out from the crowd. Children’s bedroom furniture and storage specialists, Room To Grow, have a fabulous selection of products ranging from nursery furniture and beds to bean bags, clocks and even teepees. 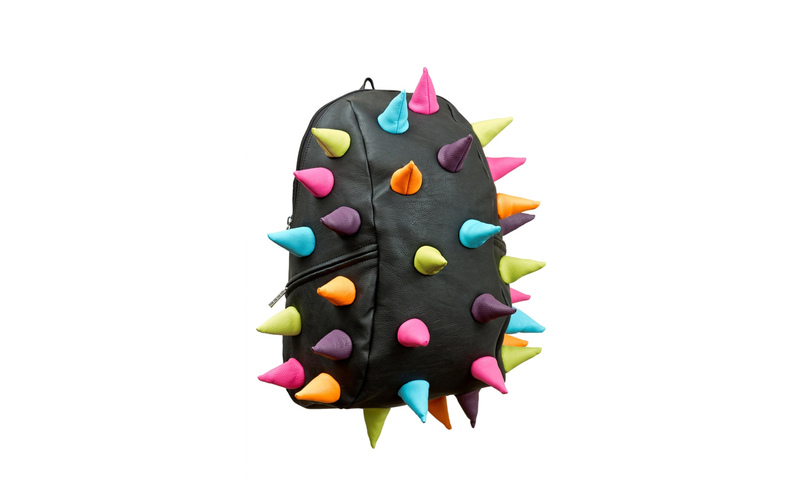 They also have a great range of children’s bags – some very cool backpacks from MadPax, who make 3D backpacks and accessories for kids of all ages that are, they say, “two parts funk, a pound of punk and a dash of double dare”. I don’t know about you but I usually find myself trotting behind the kids carrying an odd selection of books, snacks, bits of Ieuan’s latest superhero costume, Buzz Lightyear (or the toy du jour) and, rather worryingly for the staff in our local NISA, a ray gun. Well, no more! It’s not too bad on the way to school but you do look a bit strange wandering home with an Iron Man statue and a glitter wand. 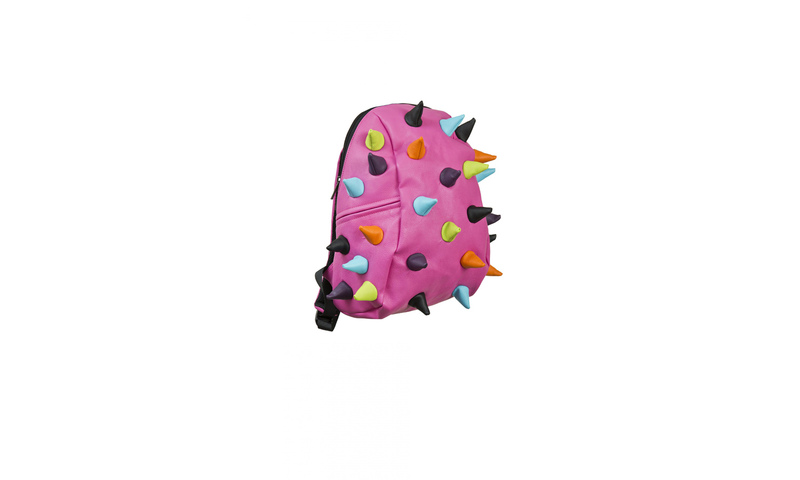 This one, Spiketus Rex is the original backpack from MadPax and has a bold and multi coloured soft spiky design. The full pack is a traditional sized backpack, perfect for school books and sports and comes in a range of funky colours. Lightweight and durable, it has two side zip pockets and one inside, a padded laptop sleeve, adjustable straps, a clear ID window and comfort air-mesh back padding. It’s also easy to clean with a damp cloth and mild soap. 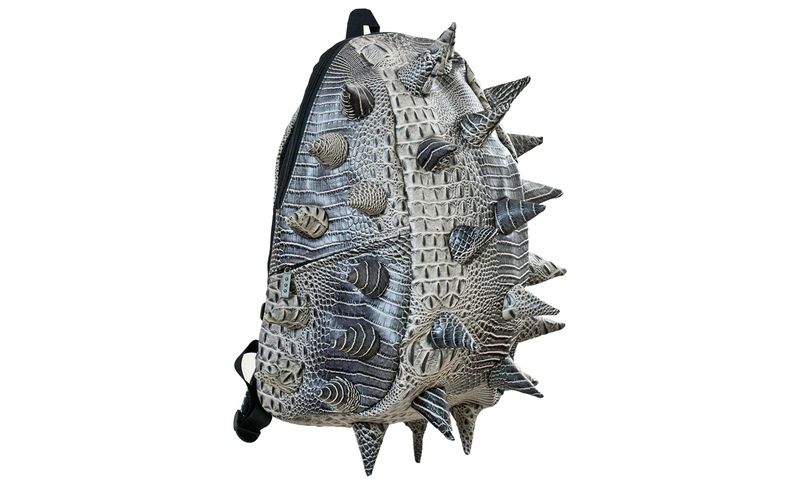 The Lator-Gator backpack has a spiky reptile design and the same features as Spiketus Rex. It is also available in a range of funky colours. The packs also come in half pack size, which may be better suited to younger kids. The half pack is also ideal for carrying electronics and other essentials and I have a Spiketus Rex Half Pack to give away! Remember to visit www.roomtogrow.co.uk and tell me your favourite product as a condition of entry. Simply complete the rafflecopter in the usual way. The giveaway ends at 11:59 pm on 15th September 2015. UK entrants only. Good luck! "Hide And Seek At Cadw: Raglan Castle, Monmouthshire"
"My Sunday Photo – 30/08/2015"
I love the Princess & Frog Vanity Table & Stool! These a funky bags 🙂 you'd certainly not misplace them! I really love the Princess & Frog Vanity Table & Stool for my daughter! Wow these are fab! I would have loved one when I was younger. The London bunk bed is fab. The racing car bed is so good!! Wow what a fun range! The London bus bed is amazing! I absolutely Love the Fantasy Fields – Dinosaur Bookshelf with drawers! I love the lator gator rucksack – how cool are they?! The Carib Glass Wall Clock. love the rucksacks, couldn't pick between them though, they're all so great!! I love their beds and bedroom sets. Love these bags! I would never take it off!!! I think the RTG – Lulu Teaching Alarm Clock is fantastic, it's bright colours & design will make learning the time fun! I love the Solitaire White Midsleeper with Navy & Red Tent, would go perfectly in my sons bedroom! I love the Stompa Uno – Stompa Multi-Bunk. That would be perfect for my 3 boys 🙂 Then I would have to get the 2 girls one as well though!! I love the Solitaire – Solitaire White Midsleeper with Pull Out Desk and Bookcase best! I really like the princess vanity table!